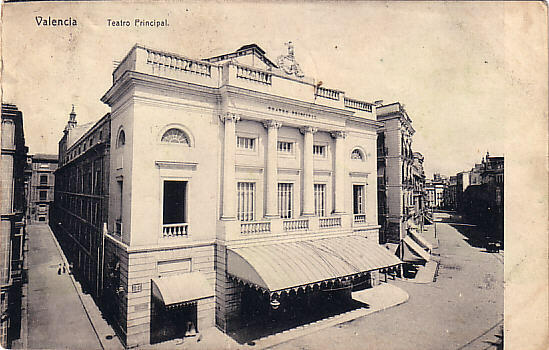 Built after a 1774 design by Filippo Fontana. 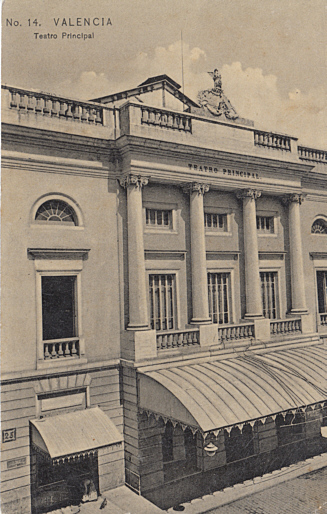 Opened in 1832, the building was not completed until 1854. 1226 seats. 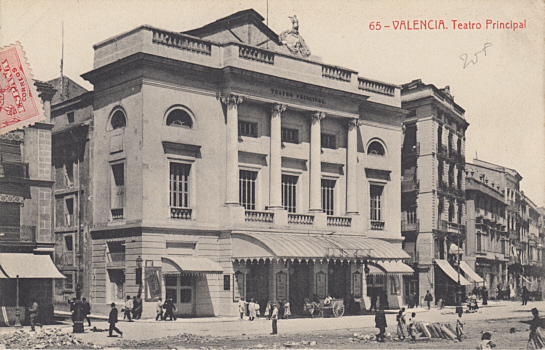 Front Text: "Valencia - Teatro Principal"